Hello everyone and welcome to the Super Natural Sunday Re-View, today I Will be tall King about Setting the Table in Canada’s House. Earlier this week, I was tall King about how the government is to citizens as parents are to children, and it’s an analogy I’m going to be using more often because it is war King so well. I am thing King it Will also help with some of the Magical associations Man has with her Words. Let’s start with the Quest Ion and X-Press-Ion, ‘What can One bring to the Table?’. Where would this expression come from? I’m going to see what Google has to say but before I do, I’m going to guess that it didn’t initially have anything to do with business. It probably had something to do with a ‘pot luck’ type event, where everyone contributes One item of food for a festival for everyone to enjoy. If One were to show up without an offering for the festival, One might be as King of them, “what are You bringing to the Table?”. Let’s see what Google says. Wow, I was totally wrong! I Love to learn things, even when I’m wrong. We also know that I don’t believe in coincidences, and Google’s definition Plays into My original analogy very nicely, as We all know gambling takes place in a Casino, and the Casino or Host of a card game is known as the House. That’s where the expression, ‘the House always wins’ comes from. Also not a coincidence that the House always wins in a casino because the Game is carefully designed to profit the House. In My metaphor the House is Canada, and it’s run very much like a casino; the Game is rigged, and One must Show what One can bring to the Table before One may take a Seat. What am I bringing to the Table? What do You see? Think 13 is unlucky? No, 13 is 1+3=4. 4 is Foundation. The 13th card in the deck is the King. I See 1,1,2,3,5,8,13, which is God’s Code, the Fibonacci sequence, otherwise known as the Golden Ratio. It also happens to be the Theme of DaVinci’s Vetruvian Man. Each number is the product of the two numbers preceding it. It also happens to be the first picture I picked without having a clue what the cards actually were, I thought it was going to be a ‘Royal Flush’ – of course, the Universe has something more Perfect in Mind. This is what I bring to the Table, a fresh Set of Eyes. This week really has been Epic! 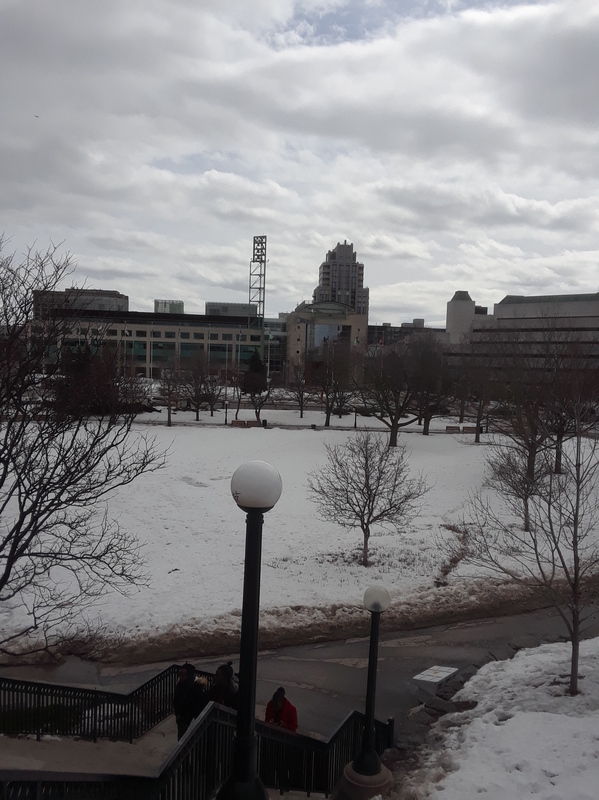 We had the Spring Equinox on the Full Moon, synchronized with the completion of all the Forms necessary to Honour My Part in the proposed resolution Order with the city of Ottawa. I have X-Pressed My concerns regarding some of the ‘House’ rules, the Plates (policies and procedures) already Set in place, and rather than Focus on just how bad the Table Setting looks, I am thing King We can re-Set (reset) the Table before mom and dad find out just how bad it is. Before We can re-Set the Table, We Will have to clear the previous Plate Settings (policies and procedures). The old Plates were made of dull paper, We Will re-Set the Table with shiny Silver Plates, and the Finest Crystal. The children of the House look lost. They didn’t put out the Finest Crystal and the shiny Silver Plates because they had no Idea where to find them! Well, here We have something called, ‘Housing as a Human Right’. It was a little Note left behind by the Parents to help the Children Set the Table. That’s One very shiny, Silver Plate… And there is a whole cupboard full of them! This is what I bring to the Table. These Plates are a lot nicer than the ones Our parents were previously using, I am thing King they Will be Happy to have the opportunity to switch them out and re-Set the Table. One of the Children knew about the Silverware but thought the Parents would be angry if We ever used it to Set the Table. The only reason the House ever stopped using the Good Plates in the first place was because the Children could never behave at the Table. As much Fun and Fantasy as this metaphor may seem, it is exactly why the ‘Mom’ and ‘Dad’ (Queen and Pope) of Man’s Macrocosm removed the Gold standard from the economy and only allow God’s children to Play the monopoly Game with worthless pieces of paper. The Children were Acting too recklessly to Play with Gold, it has real Value and Will be of Great benefit as We switch to clean, renewable Energy Sources. Gold was not a commodity they could risk being Coveted by the wrong Hands. Very few People in the world actually understand how the [global] economy works. I do. I really do. When I first began to understand how the systems operate, I presumed that most of Canada’s elected officials understood them, too. I actually thought they would be required to know exactly how all of these things work to qualify for their position. Now, I’m not sure if any of Canada’s elected officials actually comprehend how the international economy works (or doesn’t work, relative to One’s perspective). When I say that money is just worthless paper, I’m not making a joke. Our ‘Parents’ are literally just waiting to see how long it takes God’s Children to figure it out, and most People have no clue. I’m already at 1000 Words, so I don’t want to get off on too far a tangent, I just want to re-Set the Table. Five more days. One week tomorrow is April 1st, the deadline for My resolution agreement with the city. Generally, the Parents don’t work weekends, so I expect to hear something within the next five days. I wanted to take this opportunity to let the city know where We’ve been stashing the Good Plates so they know how to Set the Table tomorrow morning. One of the main distinguishing differences between Me and many others in the Law/Sovereign movement, is that I don’t believe there is any sinister conspiracy, I am thing King everything was done with the best intention. All of the Keys are right there in front of Us. We didn’t have to look far to find the Good Plates, they were right inside the cupboard of Our own House. I am also thing King We all know that corruption exists in politics. Sometimes, the Parents don’t follow their own rules, so it’s up to the Children to Mind the House and Keep the House in Order. This is one of those times where the Children must share responsibility with the Parents for allowing things to get so out of Hand, and Help the Parents put the House back in Order. Answers have been within us , within our connect ion to source energy or God through the channels of our hearts , minds and spirits . Our answers are within our intuition and minds if we are open and ready to receive , recognize and realize. Another thing that is our responsibility to get out of this matrix to liberate oureselves and recreate our rules , change the laws that no longer serve us in our reality whether physical or spiritual metaphysical energetic reality beyond form , beyond time and beyond the 3 dimensional reality .